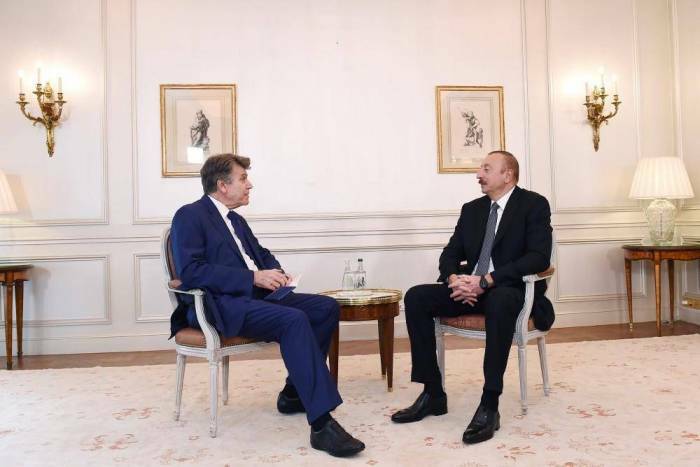 Azerbaijani President Ilham Aliyev has met with Executive Chairman of the Institute for International Relations of France Thierry de Montbrial in Paris. Thierry de Montbrial recalled with satisfaction the meetings with national leader Heydar Aliyev in France and Azerbaijan, as well as with President Ilham Aliyev in France. During the conversation, the sides exchanged views on bilateral relations, international and regional issues and the Armenia-Azerbaijan Nagorno-Karabakh conflict.